This is the 3rd year I’ve attended the Classic Wine Trophy awards dinner. I quite like these awards as they are fairly small and quite unique from many other competitions. The uniqueness is for 2 reasons, firstly the judging is all done blind. The judges only know the style of wine, so that they can evaluate it for expression on the style. Otherwise they don’t know anything about what they are tasting (apart from the colour, obviously). The second thing that makes the competition unique is the fact that all the judges are French! This must make it quite an expensive competition to judge as they have to fly the 11 judges out here to do the tasting. So the results reflect an international perspective which is unusual for local competitions. 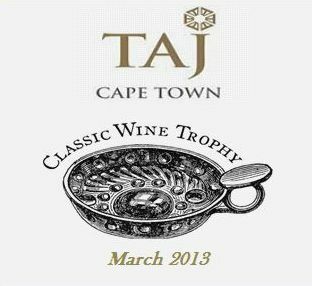 Despite the international perspective, many of the winning wines have received accolades in other SA wine competitions. Which I guess is a good reflection on our judges generally in terms of judging to an international standard. These judges are seriously French. I can vouch for that as I was seated next to 2 of them and their accents were so thick I couldn’t understand a word they were saying. But I gathered from them that they were very impressed with the wines and that they love Cape Town. Those two opinions earned them my respect. Despite difficulties with communication we had no difficulty in sharing the wines around efficiently and communicating our appreciation of each one with appropriate gestures and facial expressions. Each table at the awards gets a bottle of each winning wine to try, so that’s 16 bottles of wine per table of 10 people. Having more award winning wine than I can drink is a problem I will never complain about. The list of winners is below. My favourite was the Chamonix Sauvignon Blanc Reserve 2010. Chamonix really cleaned up, winning 3 of the 16 awards, and deservedly so. 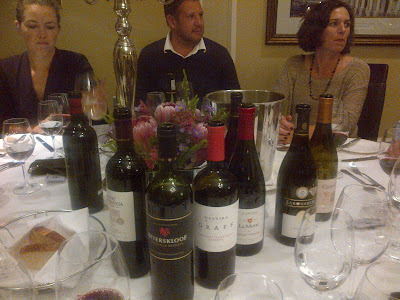 In fact with La Motte and Franschhoek Cellars, Franschhoek had a strong showing with nearly a third of the awards.